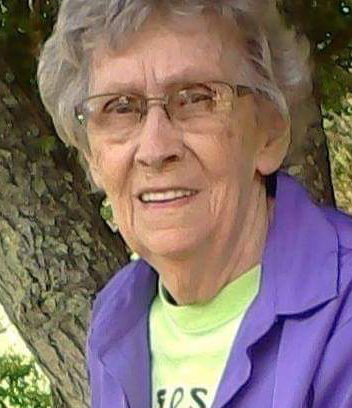 Greeneville: Elizabeth Ferne Luster, age 87, of Greeneville, passed away Sunday, January 27, 2019 after a brief illness. She was a member of Bethel Freewill Baptist Church. Elizabeth was preceded in death by her parents, Hula Curtis and Pearl Lea Brown West; two sisters and six brothers. Survivors include her daughter, Durethia Klepper (son-in-law, Larry Klepper) of Greeneville ; two grandchildren, Amanda Caldwell and husband, Dustin of Rogersville and Jason Klepper of Greeneville. 7 great grandchildren and a number of nieces and nephews. Family will receive friends from 10:00 AM to 11:00 AM Saturday, February 16, 2019 at Broome Funeral Home, Rogersville with funeral service to follow with Rev. Reed Mitchell officiating. Broome Funeral Home, Rogersville is honored to serve the Klepper family.